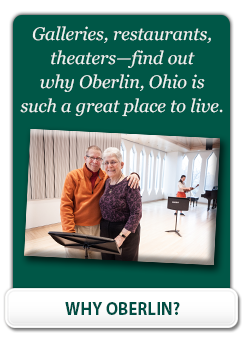 201 is a Record Year for Kendal at Oberlin Volunteers! A Record Year for Kendal at Oberlin Volunteers! What makes a difference these days? The time and energy that Kendal at Oberlin residents and staff provide as volunteers makes a significant difference. Nearly 25 years ago, soon after Kendal opened its doors, founding residents initiated a “Volunteer Clearing House”. The purpose was to match people’s interests and/or expertise, with needs at Kendal and the greater community… and volunteers came, and continue to come and commit to this good work. Each year the number of volunteer hours has grown, meaning more needs continue to be met. In 2017, the total hours volunteered by Kendal residents and staff came to 62,416 hours! This number exceeds 2016’s total of 54,000 hours. Five residents took on the task of collating the 217 volunteer hour forms that were submitted. Several residents returned the form, with notes of apology for no longer being able to volunteer…a sign of their dedication to this important work. Aside from work at Kendal, there are organizations in the greater community that have benefited from the volunteer hours donated by Kendal residents and staff. While there are too many to mention them all, here are a few: Meals on Wheels, Oberlin Schools, Lorain County Free Clinic, Second Harvest, League of Women Voters and Oberlin Community Services. The indexed value of volunteer time, according to Independent Sector, suggests using the national dollar value of volunteer time specific to the state. The most recent figure for Ohio is $22.99 per volunteer hour. This values the 2017 volunteer work of Kendal at Oberlin residents and staff at $1,434,943!